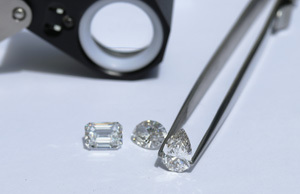 1.5 carat diamonds vary in length and width, depending on the shape of the diamond. Lab grown diamonds are no exception. Examples of 1.5 carat diamond engagement rings are below.